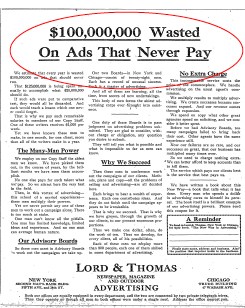 “$100 Million Wasted On Ads That Never Pay” was written by Claude Hopkins in 1909. Anyone in the alt-health and supplement business can’t help but notice the growing trend of wrongful death cases. 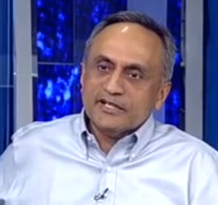 A few weeks ago, I wrote how Manoj Bhargava, founder of 5-Hour Energy, went on the assault when his company came into the spotlight due to several wrongful death suits. I’m neither an attorney nor a nutrition scientist but I’d be surprised if there’s any judgement against Bhargava’s product, given how little different it is from a cup of dark roast Starbuck’s with some B vitamins thrown in. 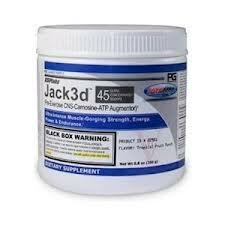 Last week, a wrongful death case against Jack3d (pronounced: “jacked”) manufacturer, USPlabs, hit the wires. But this is a product in a whole other category than 5-Hour-Energy due to the controversial ingredient dimethylamylamine (DMAA). It’s an amphetamine-like stimulant that’s already been banned in the U.K., Australia and Canada. It’s available in any sports nutrition outlet the United States and is the preferred pre-workout supplement for many gym rats, including yours truly on occasion. I’ll be hitting the medical databases before my next scoop though. Many lifters in the States are stockpiling the stuff anticipating an eventual ban. Here’s the link to the lengthy New York Times article: Is the Seller to Blame? Workout Supplement Challenged After Death of Soldier. The “mystery monk” got his first taste of energy drink ten years ago at a trade show. From his first sip, he knew he wanted a piece of this market but wasn’t ready to take on emerging giant, Red Bull. Nor did he care to share fridge space with Coke or Pepsi. So, he invented his own product category — the energy shot. It’s the retail point of sale success story of the last ten years. His product is now located next to countless cash registers all across the country. Until recently, little was known about him. He broke his silence in this must read Forbes article last year.